With the coming to the internet of African literary journals in the earlier 2000 enthusiastic younger writers and researchers were availed with online transmission of African literary aesthetic. And how they jumped to it! The result ten years later between 2004 and 2014 became a wealth of academic papers published around the subjects of African poetry, orature, and African American Diaspora culture. For the first time, then, and continuing to present, anyone – student, reader or scholar – could demand or order for print texts from the IRCALC Library of Afrcian Writing; find scholarly reviews and criticism on contemporary African (and Diaspora African) writers such as Achebe . Aidoo . Allende . Ambanasom . Andreas . Armah . Atta . Ba . Bandele-Thomas . Bessora . Beti . Biyaoula . Brathwaite . Camara . Ce . Coetzee and Couto. Plus several texts also abounding on Angolan Writing . Camerounian Birth Songs . Hindi Movies in Africa . Igbo War, Marriage and Birth Songs . New Kenyan Writers . Nigerian Pidgin Rhetoric . Oral Performance among the Graffi . Rumuji Women Dance . Rwandese Insigamigani Texts . Yoruba Satirical Songs and Zimbabwean Popular Music. This forum recalls the richest stock of articles from the Library of African Writing [AW], Critical Studies [CS], African Literature [JAL] and New Poetry [NP], being volumes of critical essays on the literatures of Africa and her Diaspora. For any of these publications one can still order from an online bookstore or contact the publisher for bulk order quotation. The Journal of African Literature No. 12 [African Narratives] is the final review of writings of African and African American experience in order to elicit from narrative contents that include Western narratives on Africa the processes of individual talent and perspectives around an essentially African experience. Insights abound on Narratives, Language and Resistance by scholars who envision writers in their imaginative articulation of African identity, their contestation of history, their reassessmente dramatic form for communal uplifts and social transformation. Several comparisons of more than one or two authors and their oeuvre emerging from this historic enterprise have met our standards for diligent assessment of African centred creative thought alongside vision, progress and aesthetic, not neglecting the expanding awareness and consciousness of space. Other prevailing discussions and reassessments around global peace initiatives and international friendships that create room for complementary values as the new approach to cultural understanding and appreciation in contemporary society have been appraised in some works of new fiction writers and poets. From a unique concern with authors and their work we showcase several authors and writings of African and Lusophone African experience in the desired curiosity about African literary content and the processes of tradition and talent within a cultural mother-hive that spans several decades of creative virtuosity by Africas prodigious talents. We have incorporated new insights and transformative perspectives on history and language; our scholars investigate tendencies and evocations that envision the imaginative articulation of African identity, the contestation of language and history, the reassessment of culture and heritage within a tradition of literature for communal uplift and social transformation. The Tenth anniversary edition of the Journal of African Literature Contemporary Series features criticisms and reviews on favourite authors of African fiction, poetry, drama and non-fiction. The lead essay on Toomer examines his creation of a new idiom which allows him to express the more immediate and intricate complexities of the African-American experience. Other writings of African and African American experience showcased in this volume would provoke curiosity about literary tradition and individual talent interacting within a cultural hive that spans several decades. The comparisons of authors and their oeuvre which emerge from this historic enterprise satisfies the quest for appraisal of vision, progress, aesthetic and individual consciousness. What is here called an examination of literary cultures is the emergence of theoretical illumination regarding the ebullient crafts from our hemisphere. The Journal of African Literature 9 further marks the permutation of Black literary traditions within and beyond the continent, providing the forum for rediscovery – and revalidating – of traditional African values as the African text finds itself constantly seeking and reinventing new spatializations, new definitions and new ways in which universal African visions may find expressions in and by means of literature. The Contemporary Series [II] argues that as we recognize common values, the plan of universal brotherhood, indeed, comes nearer and we begin to sense our own place in its ultimate realization. Using the works of Morrison, Head, Ba, Vera, Magona, Rotimi, Okri, DAguiar, Onwueme, Mabanckou, Biyaoula and the Insigamigani texts of Rwanda, scholars present further approaches to the concepts and problems of race, heroism and the African writers memory and reinvention of linear time. The heroism and wisdom of African proverbs as a metagenre are being rediscovered in the new writings of African scholars. The unity of culture is also highlighted in the importance of sharing equally fruits of modern collective efforts. A palimpsestic or multidimensional notion of time and existence is replacing linearity time that seems very much an arbitrary creation of Western materialist consciousness. And the perception of unity in great variety broadens rather than narrows our perception of our universe. The Contemporary Series the Journal of African Literature #8 pursues the quest of established writings from Africa and her Diaspora in Black literary traditions. With critical evaluations of the works of Gordimer, Ngugi, Naipaul, Farah, Armah, Vassanji, Mahfouz, Iyayi, Osofisan, Magona, Allende, Atta and Naylor, JAL No. 8 as a compendium of contemporary Black literature has provided the comparative bridge for the eternal communion of literary and mythological heritage which inhere in resuscitating the past as a means of restoring some of the lost values of African traditions. Featuring the Oral-Written Interface in Achebe’s fictions, this volume of contributions from scholars of Black and African writing around the world has exploded theoretical frameworks of propagating indigenous knowledge about the Black experience, the tensions of space and identity at various political, social, economic and psychological levels of African national existence, and their possible remediation through imaginative ideological fusions that are embedded in the external and subjective realities of our world. This edition of 2010 Journal of African Literature marks our quest further through an all-expansive African heritage in and beyond regional or national groupings. It is built upon theoretical frameworks of Black cultural nationalism as an ideally consistent element of contemporary African-centred modernity. Across Borders is an attempt to commit the process of African integration in Postcoloniality and Postmodernity to the exploration of perspectives on Black Identities in contemporary writings and the interaction of cultural expressions beyond the borders of Africa and across the Atlantic. Contributing scholars, researchers and theoretical exponents in their studies of new and existing literatures have exhibited knowledgeableness about how the African experience of modernity associated with a Western paradigm is fraught with corruption and tensions at various political, social, economic and psychological levels of African communal and individual existence, and its possible remediation through an imaginative articulation of the greater unity and higher prospects in the diversities, hybridity and fusions that are embedded in the external and subjective realities of the black world. This is African literature at its best artistic engagement. An important contribution which explores the integration of the Oral Tradition of African writing within the New and Contemporary Expressions. In this volume scholars have strived to adopt innovative and multilayered perspectives on orality and its manifestations on contemporary African and new literatures. African scholars’ commitment in the study in Oral Traditions is borne from the awareness that African verbal arts still survive in works of discerning writers, in the conscious exploration of tropes, perspectives, philosophy and consciousness, its complementary realism and ontology for the delineation of authentic African response to memory, history and all possible confrontations with existence such as witnessed in recent analyses of the African novel. The Writer’s Forum on Re-visioning African Writing argues, for African writing, new directions that incorporate truly original perspectives which pride in knowing the past, interpreting the present and exploring the future from fidelity to African cultural endowments, rational vigour and sense of positive destiny. Containing Fifteen (15) original papers on the theme of War and Conflict in African literature written by scholars from the United Kingdom, Africa, Asia, and America, this 2008 volume of JAL is divided in two broad categories of National/Political and Gender Conflicts, to which we have added our traditional Writer’s and Chat Forums which feature writers and critics from Nigeria. This 360-page Journal has Four grand Divisions: The Writer’s Forum, National/Political, Gender Conflicts, and the Chat Forum. Francophone and Anglophone writers whose works are given prominent and truly novel critical attention include Chinua Achebe, Ola Rotimi, Meja Mwangi, Bessora, Buchi Emecheta, Akachi Ezeigbo, Chin Ce, Aminata Fall and Stella Osammor. A biographical review of Lusophone Angolan writers, de Miranda, Franco, and de Assis Junior, has also been added to the journal. 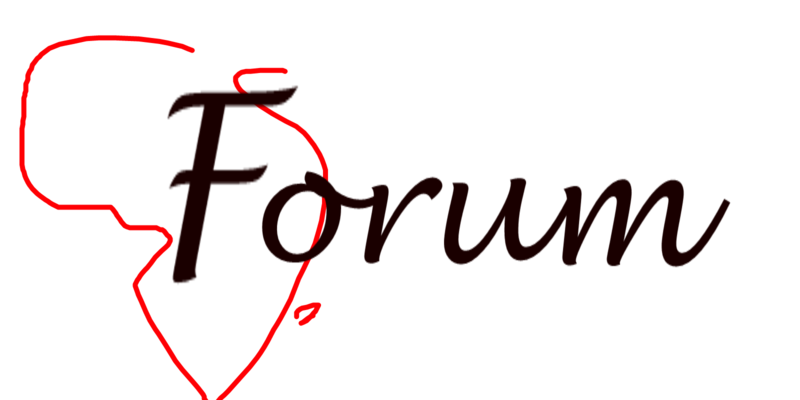 JAL 5 (2008) Chat Forum further hosts seven authors (Gabriel Okara, Elechi Amadi, Femi Osofisan, Odia Ofeimun, Chidi Maduka, JOJ Nwachukwu-Agbada and Julie Okoh all from Nigeria) in a debate on African Literature and Conflict Resolution. The Journal of African Literature and Culture 4 (2007) journal issue inaugurates a widening trend in African literary criticism that embraces formerly uncharted currents in African imaginative literatures. It is predicated upon a literary awakening that has been consistent with the attempt towards the collegiate vision of imaginative reconstruction and critical development of literary and cultural Africa in a way that departs from old attitudes thereby crystallizing in vaster terrains of literary expression and appreciation. Ten scholarly essays /reviews from South Africa, Nigeria, Cameroun, Germany, Canada, the United States and Netherlands are available in this current Journal of African Literature and Culture JALC (4) which focuses on the prose and dramatic fictions of Anglophone, Lusophone and Francophone writers from across Africa and the African Diaspora. The Journal contains three phases of literary criticisms involving rejoinders from past-present concerns, oratorical strategies of narrative, and issues of cultural and contemporary modernity. The dramatic literatures of Ama Ata Aidoo, Tess Onwueme and Femi Osofisan have been re-examined in addition to fresh insights on the prose writings of Bessora, Bessie Head, Mia Couto, Coetzee, Laye, Ce, and younger writers of the new tradition. Journal of African Literature and Culture JALC 3 comes with fourteen essays, commentaries and reviews by contributors from Canada, United States, Ghana, Cameroon, Nigeria, South Africa and the United Kingdom in what promises to become a major referential guide to critical appreciation of African literature. Continuing the theme of Re-Imagining African Literature articles in this issue include critical reappraisals of the works of notable younger and older African writers such as Chinua Achebe, Wole Soyinka, JM Coetzee, Chin Ce, Dangaremgba, Vassanji, Ama Ata Aidoo, Mongo Beti to mention but a few. In their preface the editors propose a wholistic approach to criticism of African literature in spite of its regional and national groupings and the reimagining of issues of African modernity in relation to contemporary definitions of the Black world.